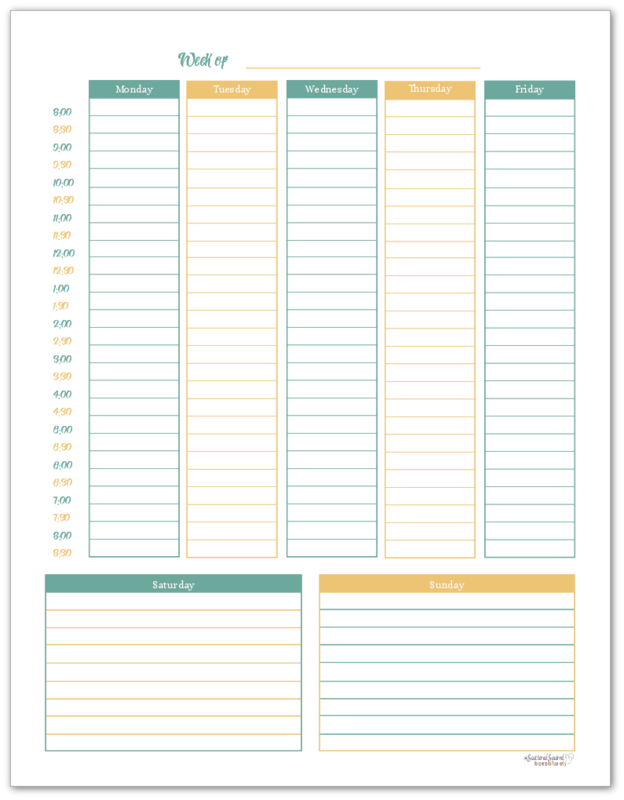 A Variety of Weekly Planner Printables for Your Planners. 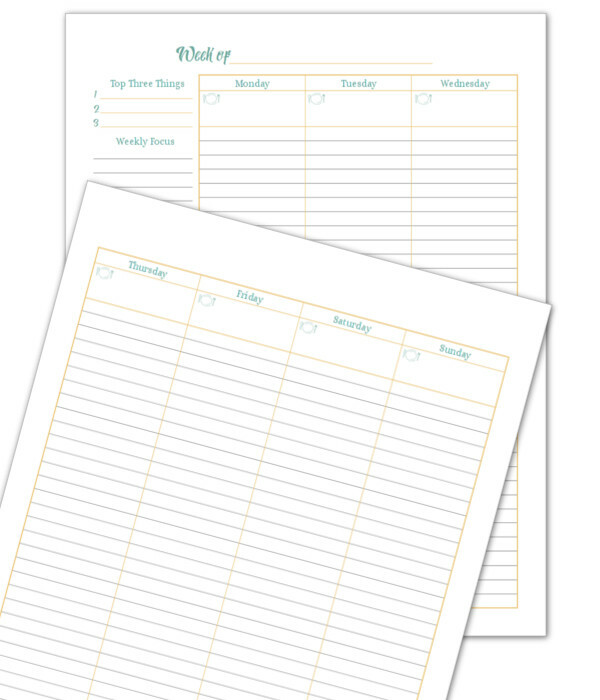 Weekly planner layouts are probably the most popular layouts on the market. It’s not hard to see why. They pack in the planning power without taking up a ton of room in a planner, offering versatility and flexibility without being too confining. That’s exactly why I offer a variety of weekly planner printables here on the blog. Today I’m sharing some of the more popular weekly planners that I’ve updated to match the 2017 calendars. I love weekly planners. You’ll find one in every single one of my planners. I use them for everything from planning my week to mapping out routines. 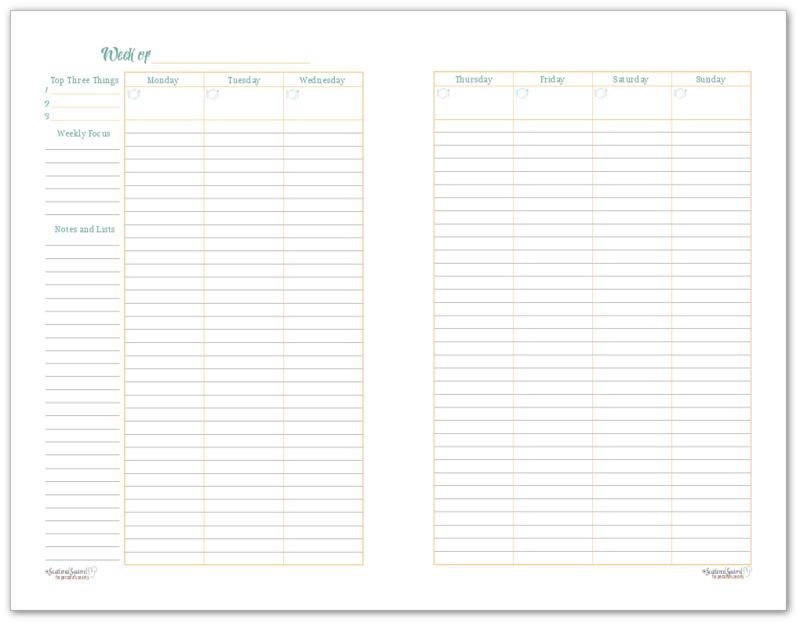 Like a blank monthly calendar, a weekly planner can be used in so many different ways depending on your needs. That’s why I could resist updating some of the more popular ones so you can use them in your planners for the new year. 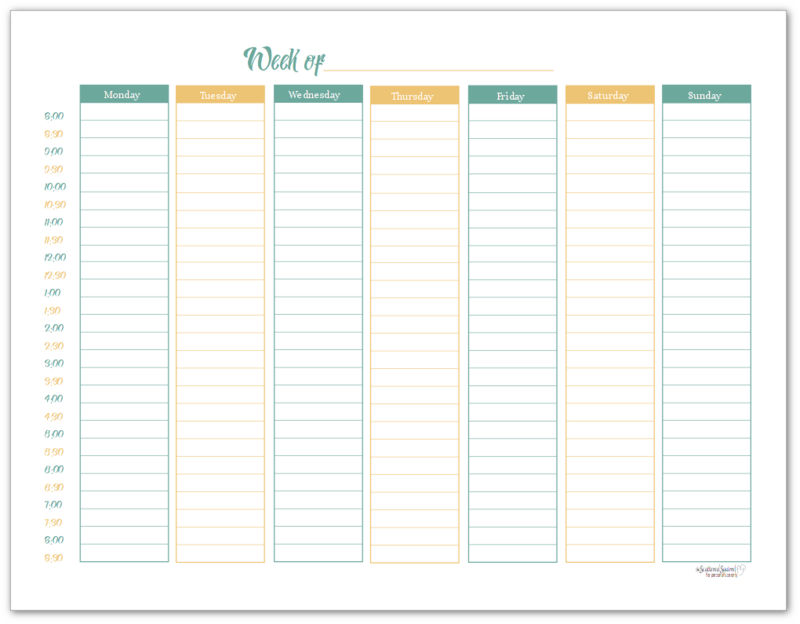 I’m going to go ahead and kick off the good stuff with the most popular weekly layout – the 2 pages per week planner page. I totally understand why this one gets so much love, especially in the half-size version. Having two pages dedicated to planning the week is a blessing when you’re busy or if you’re like me and have large handwriting. This is just like the ones I shared last year. It’s been updated so that it’s using the same colours and fonts from the 2017 calendars. Down the left-hand side of the first page there is a spot to jot down your top three tasks for the week, a weekly focus, and then any notes you want to make. I find it helpful to have a focus for each week, whether it’s a goal I’m working on or an area of my life that needs more attention. Having that focus helps me plan accordingly for the week. Each day column starts with a spot for meal planning. Followed by a blank lined column. I opted to keep it super simple so that you can customize it how you need to. I find the thin washi tape works great for breaking the columns up into sections if I need too. Next up are two of my older, single page, weekly planners. These ones were some of the first I ever shared on Scattered Squirrel. This is also the first time they’ve been updated. Until I started digging into which printables were being downloaded, I didn’t realize these were as popular as they are. These are as basic as they get. I think that’s their appeal. Simple and easy to use. No fuss nor muss. The portrait version offers timed slots for the weekdays and unstructured time for the weekend. The landscape version offers timed slots for the whole week. This is planner page that I use most often when I’m tracking my time, or trying to figure out a new schedule. Neither of them comes in half-size because I think they’d be too squished. Or the timed slots would have to be hourly instead of every 30 minutes in order to make them work on a smaller scale. It just doesn’t seem feasible to me, but I’m always open to your suggestions. I like having a variety of weekly planner printables in my planners. You never know when you’re going to want to change things up a bit. Or when your planning needs might change for a week or two. 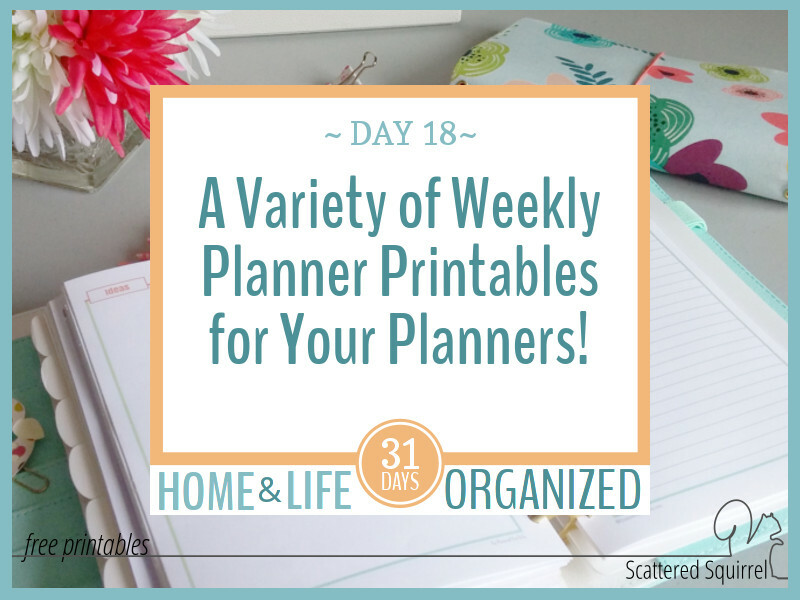 If you’re not sure any of these are to your liking, you can also check out the Weekly Planner Page for more of an even greater variety of weekly planner printables. Now is when this over to you. 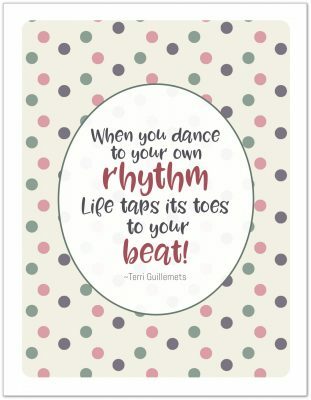 I’d love to hear your thoughts about these printables. Do you like 2 page weekly planners or single page ones? Would you like the single page weekly ones to be available in the 2016 colours too? Drop me a line in the comments below and let me know. Previous Post: « Oops! I Almost Forgot the Weekly Overview Printables that Match the 2017 Calendars! I would love if you figured out a half-size weekly planner with times! They would have to be slightly narrower, but I think it would still be fine with the times and Monday-Wednesday on the left, and Thursday-Sunday on the right. It’s on my list. I’m playing around with a few different layout options at the moment. I’m hoping to have something ready for the new year.